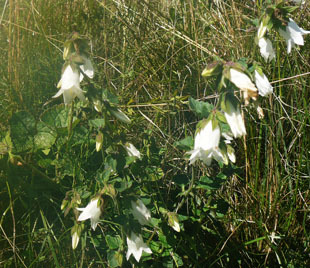 The garden plant is found throughout the country. the South and the Southeast. It grows on banks and rough ground, especially by railways. and is spreading eastwards along the railways. perennial herb, growing to 70cm. 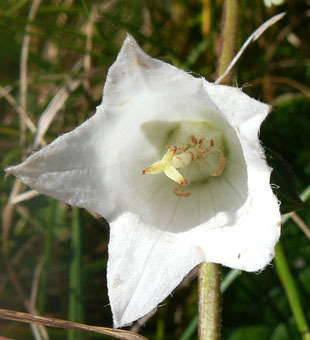 Flowers are white, bell-shaped and up to 2cm. There is a pronounced 3-lobed stigma. Sepals are triangular and pointed. 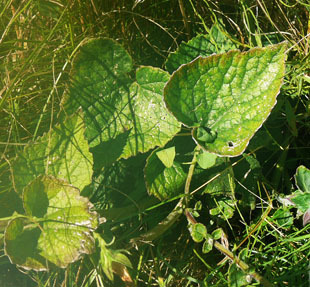 Basal leaves are heart-shaped, toothed and up to 8cm.